Our organic spray tan solution is sure to give you the perfect glow. Being airbrushed by a real person ensures an even look and guarantees flawless coverage. Save your skin and achieve a perfect bronze color in 15 minutes or less. Natural plant and mineral based laser gels without any preservatives. This is a gentle process with little to no pain that is non-abrasive and enamel strengthening. 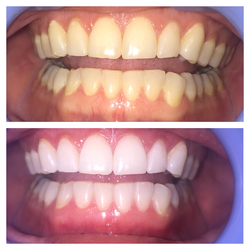 This teeth whitening takes one hour for visible results and is safe for existing dental work. Facials, microdermabrasion, chemical peels and more. If you are fighting acne or acne scars, wrinkles, or want to remove sunspots and rejuvenate your skin our products are sure to do the trick. Each appointment is personalized to gain maximum results.